Celebrating the best food and drink in the North West, the Taste Cumbria food festival returns to Kirkby Lonsdale on 14-15 April. Following the success of last year’s inaugural event, the festival brings together Cumbria’s top chefs and producers in a programme of bespoke events. There will be a beer festival, gin garden, masterclasses, chef demos, an exciting series of Taste Trails and a hand picked producer market featuring more than 40 specialist food and drink stalls. With children’s activities, street theatre and live music, this mouthwatering weekend will delight the whole family. For more information on the event and for exhibitor booking forms please go to our Taste website here. The Saturday and Sunday of the Bank Holiday weekend at the end of May is when Taste Cumbria comes to Ulverston, Cumbria’s ‘festival town’. Every year we host a big producers’ market, loads of free expert demonstrations, a hot food court, and plenty to keep even the littlest foodies happy. With the generous support of Ulverston Town Council, plus brilliant partners like the team from Ford Park and the local businesses, this is a great place to take the family. New for 2017 was an exclusive pop-up restaurant, courtesy of Michelin-starred chef Kevin Tickle from The Forest Side at Grasmere. He and his team transformed the Hoad, Ulverston’s famous monument, for an intimate dinner for invited guests. This year, there are plans to launch an Ulverston pop-up on a much bigger scale – though the venue is still under wraps. Get the dates in your diary for 2018 and watch this space! 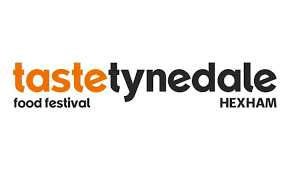 Taste Tynedale is our little sister festival and takes place in the lovely town of Hexham. This year on Saturday 21 and Sunday 22 July. After two years, it’s really getting established as one of the North East’s most exciting food and drink events, attracting thousands of visitors to the producers’ market, beer and wine festival, chef demonstrations, live music, picnic area and children’s activities. With our partners, Hexham Town Council and the Hexham Courant, we want to position Northumbria as another fabulous food tourism destination, showcasing its food heroes and food culture, and bringing great Northumbrian produce to an even bigger audience. 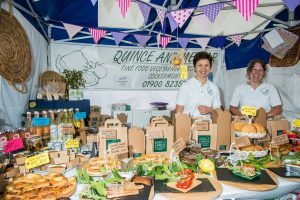 We held our first Taste Cumbria Summer Festival in Whitehaven in 2017 and it was a huge success. 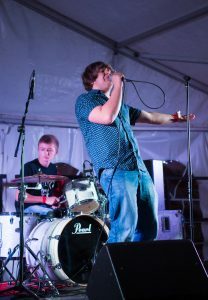 This year it is being held on Saturday 28 and Sunday 29 July. The flagship event takes place on Saturday 29 and Sunday 30 September, with a great evening of launch events on Friday, 28 September. Last year saw Michelin-starred chef Kevin Tickle of The Forest Side in Grasmere cook for just 32 guests in Wordsworth House & Garden. The event quickly sold out and was huge success. The Secret Gin Garden also made an appearance for the first time in the Castlegate House Gallery and its magical private garden on Friday evening and during Saturday. Elsewhere, Prosecco and the Pig saw hundreds of visitors relax with fizz from Tipsy Filly and artisan meats from StoneHouse Smokery, all to the soundtrack of DJs playing Northern Soul and disco. The festival’s comedy night also sold out, with three great national names taking to the stage in its new home at the Jennings Marquee at Jennings Brewery . The main event, on both days of the weekend, saw a massive producers’ market with 80 stalls and the demonstration stage on Main Street, plus a hot food court with loads of freshly-cooked goodies to eat in Market Place. Cockermouth Kitchen Company in Market Place also hosted the expert masterclasses. Planning for the 2018 event is well underway so watch this space and all will be revealed! Around 40,000 people come and join us at Taste Cumbria Cockermouth each year – a sure sign that this is a fantastic event so come along and join us for our fabulous foodie festival! If you fancy festive food with extra sparkle there’s no need to head out of the county – come to Cockermouth this Christmas. Taste Cumbria Christmas takes place in Cockermouth on Saturday 8 and Sunday 9 December 2018. There’ll be a festive food fair with all the sights and smells you’d expect at this fabulous time of year. Main Street will be packed with giant marquees selling food, drink and lots of pretty things for your Christmas table. There’ll be gifts galore, and food to eat on the spot, while the youngest foodie visitors will love the fairground and Christmas-themed arts and crafts. There will also be a beer and fizz tent adding a festive street party feel. Many of the independent businesses in Cockermouth will also join in the event, offering special offers, samples and competitions, making the town the perfect place to do all your Christmas shopping and soak up the festive atmosphere. Taste Cumbria has got Christmas wrapped up – and it’s all right here on your doorstep!